I thought it was a thing of the past - at least in this country. 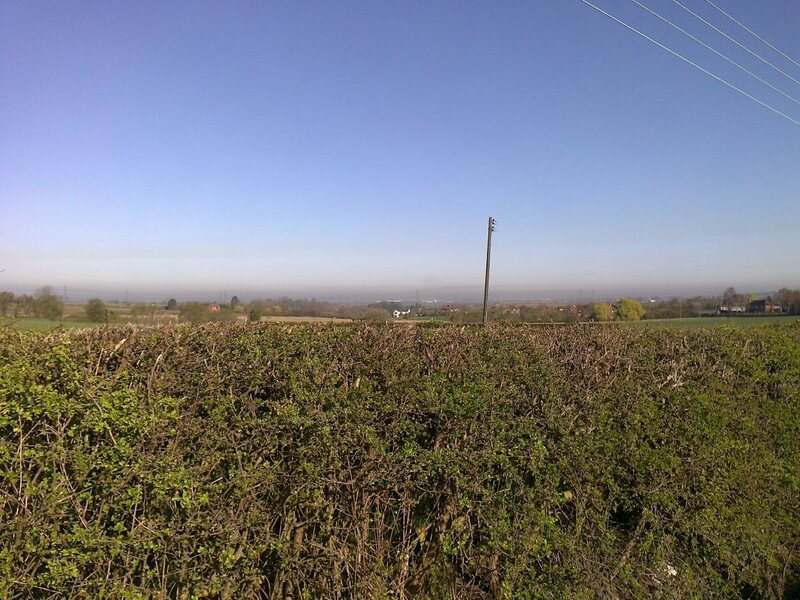 However, journeying up the M1 on Monday I was surprised to see smog above J29 near Bolsover. I was further surprised to see the whole of the Rother/Don valleys near Sheffield filled with the stuff! Yesterday I was near Melbourne in S. Derbys and took this shot towards Derby and environs; overlooking the Trent/Derwent valleys. 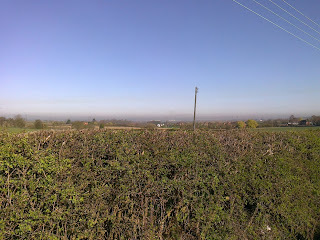 The thick 'nicotine stain' brown line between the green stuff and the blue stuff, stretching from left to right, is smog. Smog is an indicator of bad industrial pollution associated with certain weather conditions. In the 1960s smog was produced by the combination of heavy industrial and domestic coal use with valley fog. The name is even a combination of the words 'smoke' and 'fog'. On the other hand, 'modern' smog is the result of more complex chemical reactions - typified by the Los Angeles smogs of the 1970s. So why are we getting something similar here now?